Here are some pics of the 3" electric exhaust cutout. Sorry they are so big, trying to learn the photobucket editing yet. That looks great, I bet it gets real loud when it is open! Yes its pretty noisy, but sure is fun to turn it on and off at the appropriate moments. It takes only 2 seconds to open or close. My picture of the fun switch didn't post for some reason, but I mounted it in the hole just in front of the emergency brake where there is a little knockout plug. Its a small 1/2x3/4 rocker switch and is all black so you cant see it unless you are looking for it.. I will try again to post the oicture of the switch and I need to do a little trim work yet around the switch to finish it up. Sounds like a great alternative to the other exhaust option discussed on here (12 volt operated baffles). It probably cost substantially less too. What was the cost of doing this? Can a regular exhaust shop do it? Where did you get the 12 volt open/close valve? Looks like this is "do-able" on my limited allowance. The valve is made by DMH, they have a website and they are now sold by Summit Racing. They are about $180 bucks and includes the wiring and switch. They come in different sizes and have a four year warranty. Very simple for any muffler shop to install. My muffler shop charged me $250 and included the new 3" piping from the Cat back flange, Flanges for the cutout, the new Magnaflow muffler, the 3" side pipe, gaskets, chrome tip and labor. I did the simple design, wiring and switch mounting. Been running it about a week now and have no problems with check engine lite or any other problems. Your hearing will be impaired though for awhile after a few full throttle runs with the cutout in the FUN position. I plan to make a few runs on a dyno to see what the A/F ratios are doing with and without the cutout. Will probably get a predator tuner after they have been out for a bit and do a little tuning to A/F and spark curves. Looks like a very clean job. Does it exhaust on both sides of your SSR? Could you please explain a little more about what this setup does? Does it still utilize the rear system? The system with the electric exhaust valve closed is just like the normal exhaust. 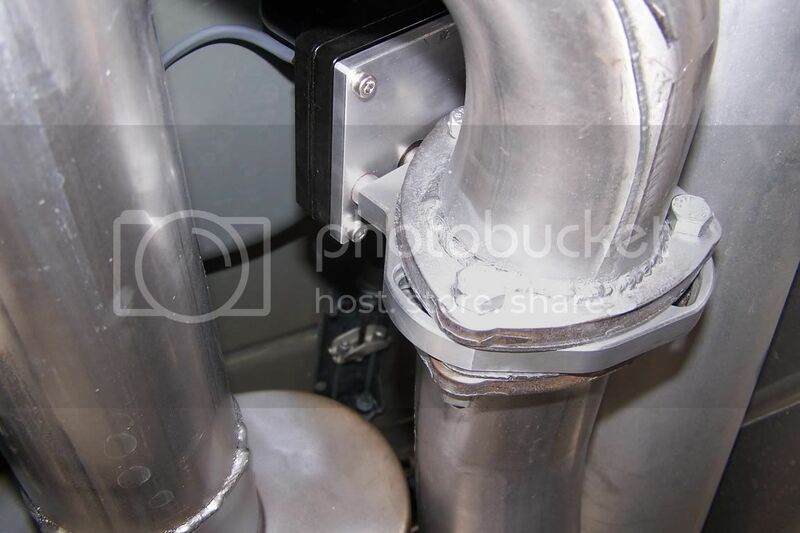 It takes the exhaust from the two headers aft of the CATS and merges into one 3" pipe into a muffler that has two 2-21/2" outlets that connect to the rear in the factory configuration. The cutout is in front to the muffler and Y's off the 3" pipe prior to going to the muffler. At the Y an electric soleniod and gate valve is plumbed into a single 3" pipe out the passenger side. When the valve is opened the exhaust flows out to the side with no muffler in the system. 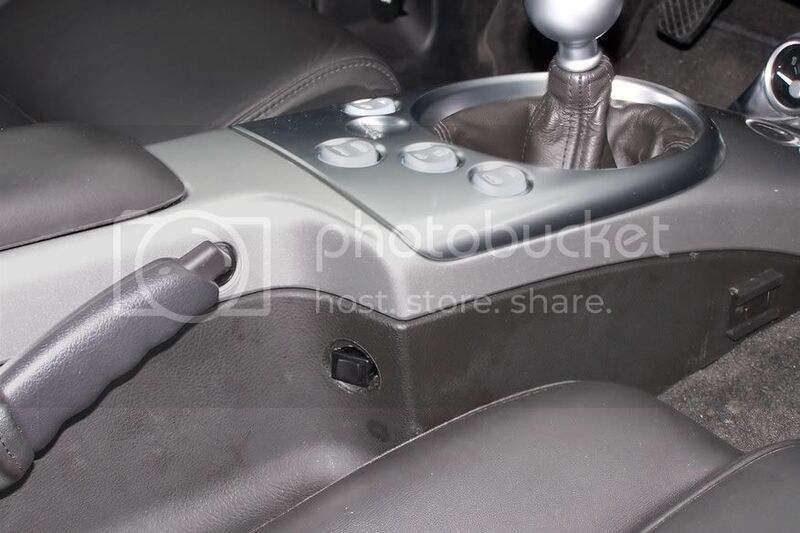 The valve is acuated by a switch mounted on the console near the emergency brake and can be open or closed anytime. Here is a better look at the Y. Sorry Im goofing up on these pic posts. The info and the pictures were great. I was just wondering if the three inchers went dual or just on one side. I see now, thanks a lot. Oh G, I don't think an open exhaust would add much power all by itself, as its a whole bunch of little things that add up that would make a difference with these heavy SSR's, I think it would take a 25 HP increase to feel much in my opinion. The best way to make power on these rides is Forced Induction or maybe a shot of NOS. A bunch of little stuff at a time will help, but overall this open exhaust deal is just for FUN..and thats what my SSR is for. Making a few minor mods is fun too, but I really doubt I can get this truck into the 12's without a blower or a NOS setup. If I really was after quick quarter mile times, I think I would be doing it to something a lot lighter. 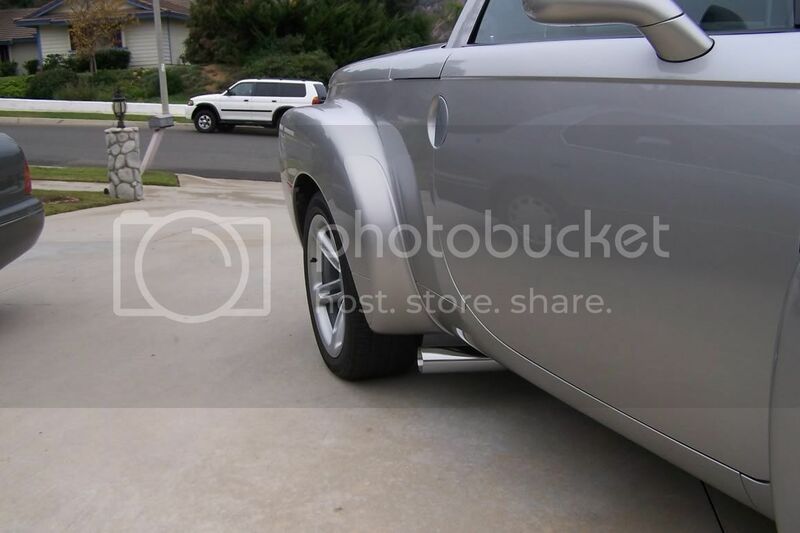 I don't see this mod adding a lot of power over a true dual exhaust with crossover, but it sure must sound exciting! One thing though. Pushrods4ever did say that his hearing was impaired after each run for a period of time. That is an almost SURE sign of permanent hearing damage, I'm afraid. I am very senstive to that right now for reasons that a few of you know about. DON'T hurt your hearing - you won't realize how important it is until you lose some of it. And, the losses tend to be frequency specific sometimes,which fools you because you think you are hearing everyhting the same, but you lose many of the subtle frequencies important to understanding spoken language. This does not mean you can't use exhaust cutouts. Just wear earplugs or earmuffs when you do. There are even sophsiticated earmuffs with dual (stereo) amplifiers that filter out ONLY sounds that are loud enough t be harmful, and leave the rest alone. With these, you can also AMPLIFY the "non-harmful" sounds, so that someone's whisper quite a distance away can be heard. Dillon (shooting accessory and reloading equipment supplier) makes a good set that I ahve used for years. WHAAAT YOU SAY? Sorry but I'm already deaf. Jim, I didn't say my hearing would be impaired, mine already is. The 4 years I spent on Destroyers in the Navy, 10 years of working on highspeed printers and 40 years of going to Drag and Stockcar races has already taken its toll on MY hearing. My statement about the hearing impairment was meant to caution others, particularly the passenger with the windows or top down. With the windows up the driver position is not too bad. As long as runs with the cutout are kept short, I don't see too much safety exposure for long term hearing loss. There are OSHA safety standards that cover the max DB levels and time periods that are considered safe. These DB levels get fairly high when the time levels are kept short. It is the long term high levels that cause the permenant hearing damage. (Just think about the young kids with 1KW amps and 12" subwoofers inside a closed car!) I don't think 13.8 seconds at a time is too long at the levels produced by this mod to injure anyone. On the Superchips Dyno, Dual 2 1/2 inch cutouts (behind Stock Cats) added 19 RWHP on an 03 Mustang Cobra when opened, this was greater than any other "single" exhaust mod (behind the cats), reported on their dyno, up to spring of 2004. You are taslking about an 03 Mustang SVT Cobra, the one with the factory blower, right? I can believe that on a BLOWN, SMALL displacement engine (4.6 liters) that makes 390 hp STOCK, relieving exhaust back opressure would dramatically increase flow. The torque peak on that engine was at only 3500 rpm stock, while supercharged peak power was at 6000 rpm, indicating a WHALE of a cork somewhere in the system. I guess the exhaust was the cork! That was a VERY special case. In fact, that's one of those cases where a catback exhast that normally gives zero hp (but nice sound) to a max of 10 hp could actually deliver much more, just because it is addressing the specific "cork" in the system. See my book Chapters 12, 15, and 16 for more on this. On a non-supercharged, 6.0 liter engine, I don't think it would be anywhere near that effective. It is obvious to us and others that we agree on very little, but I will agree that (another post of yours that several of dyno results are pure Bulls**t. These results are used to hoodwink, people who do not understand that there are many con-men out there that will do anything to steal your money. That is way I went to Florida twice to deal directly with Superchips and only let their aces touch my "Baby". Anyway, I can not agree with your statement that a 3" cutout with be nothing but a New Years Noise Maker. A larger C.I. Engine without the multi valves of 261 C.I. Supercharged Engine, I feel strongly would gain "Worth the Money" Horsepower and Torque from such a Mod. The problem with the small C.I. with Supercharger or Turbo is that you gain lots of RWHP but RWTQ. i.e. me with 412 RWHP and ONLY 383 RWTQ. Considering what was spent, and what was gained other than Loud Pedal, I would feel is well worth the bucks. I plan to install a X pipe behind the cats and Dual Electic Cutouts and true dual exhaust. Please understand that with the Mustang I spent less than $600 bucks to go from 348 RWHP (which a 380-390 HP engine should net on a dyno and I was on two of the them) to 412 RWHP. 62hp for $600 is indeed a GREAT deal if you can get it. $10 per hp is by far the BEST deal I have ever heard of. Makes you wonder why everyone doesn't know about and why everyone doesn't do it. Of course, it's also highly illegal ("normal" use of the cutout, I mean), and after a few minutes of non-stop use would give you a really good headache. 1. Did the exhaust sensor have to be relocated? 2. Did the backpressure requirement upset the computer? No to both questions. All changes where made aft of the CAT flange and sensor bung. Also no check lights or any other problems with drivability other than some passenger discomfort above 4,000 RPM with the top down or window open. You get some attention when idling around the local parking lots when in the FUN mode also. I'll bet you do . . . 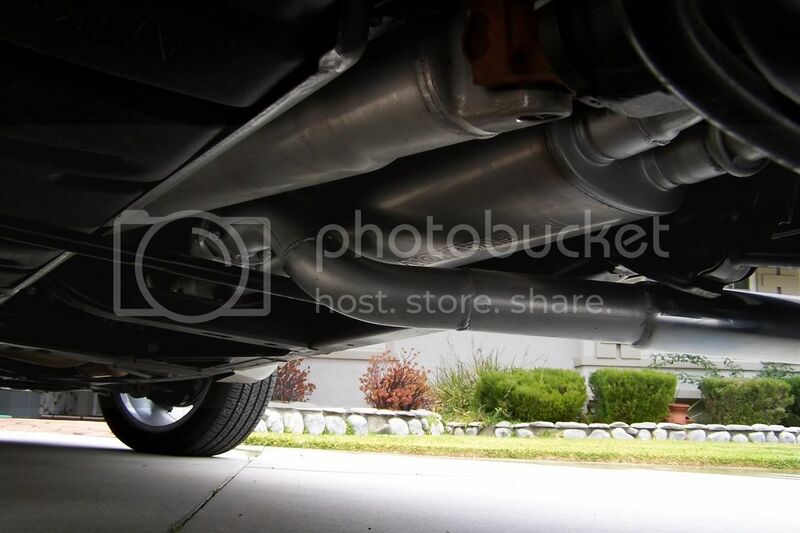 It would seem to me that if you ran the dump pipe around the muffler and reconnected it, much of the noise would run out the back to one or both of the existing tail pipes. That might help your hearing loss ! Your opinion, please! That's just what I was thinking of doing. Any other opinions on this please! Routing the bypass around the stock muffler then tieing into one of the rear outlets would be an easy thing to do, it would be a lot quieter due to the length of the pipe and exit out the rear. If it didn't make enough noise that way or sounded funny for some reason you could always just make the sidepipe like mine and reroute it without too much additional effort. I replaced the muffler with a Magnaflow that is quite a bit shorter, so now in normal mode it sounds a bit louder and just right for all driving. I do not use the Fun mode (open exhaust on the side) for any extended period and not very often, so hearing loss is really not an issue for me. My plans are to eliminate the rear tips, fill in the cutout area of the rear facia and put turndowns on the twin rear pipes so all that will be exposed will be the side pipe. Just my opinion but I personally like the looks of a side pipe better with this body style than the rear exhaust. My plans are to eliminate the rear tips, fill in the cutout area of the rear facia and put turndowns on the twin rear pipes so all that will be exposed will be the side pipe. Pushrods....In doing this you could go with the MPD rockers and cutout the area of the rocker so the side pipes are embedded for that clean smooth look. 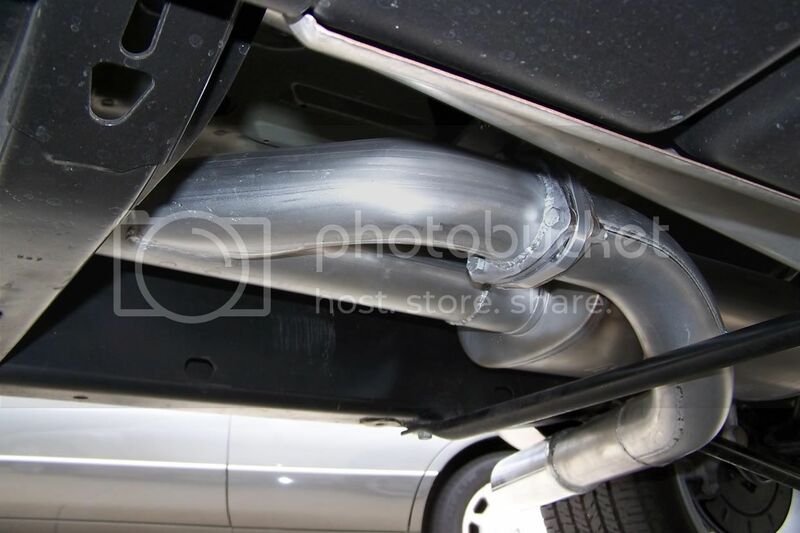 The main problem with side pipes is the exhaust buildup on the outside. The "FUN" mode usage wouldn't create this kind of situation. I just have the magnaflow catback. Sounds great.